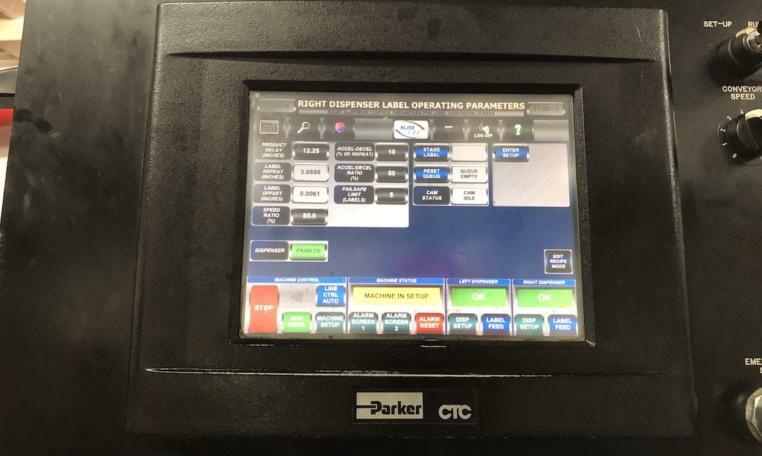 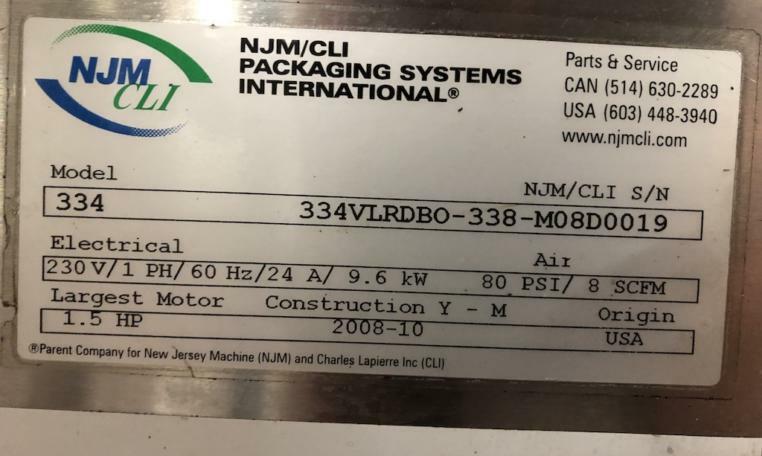 Used NJM Labeler applies self adhesive Front and Back labels at speeds to 165 BPM. 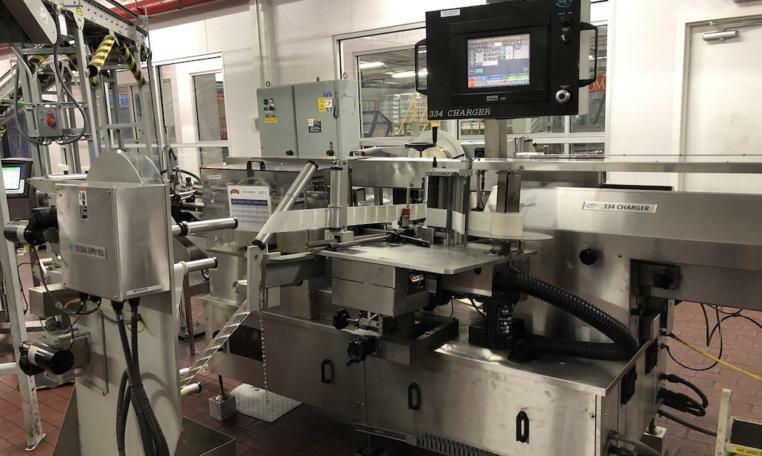 New Jersey Machine inline Labeler uses multiple pressure sensitive label heads for high quality labeling results on intricate containers made of plastic, glass and metal. 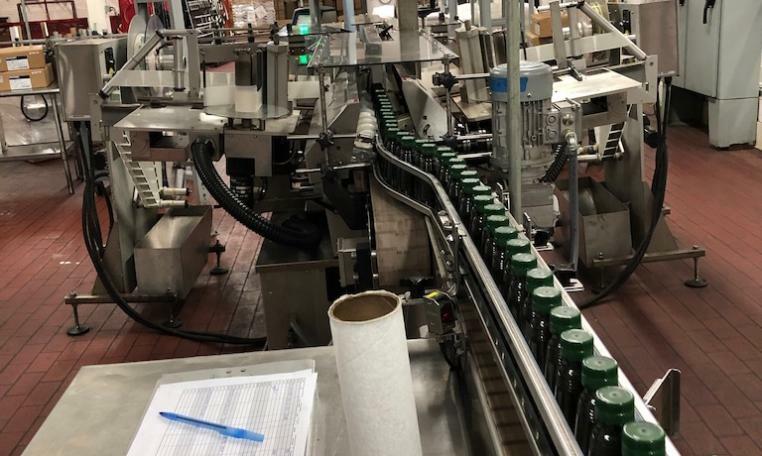 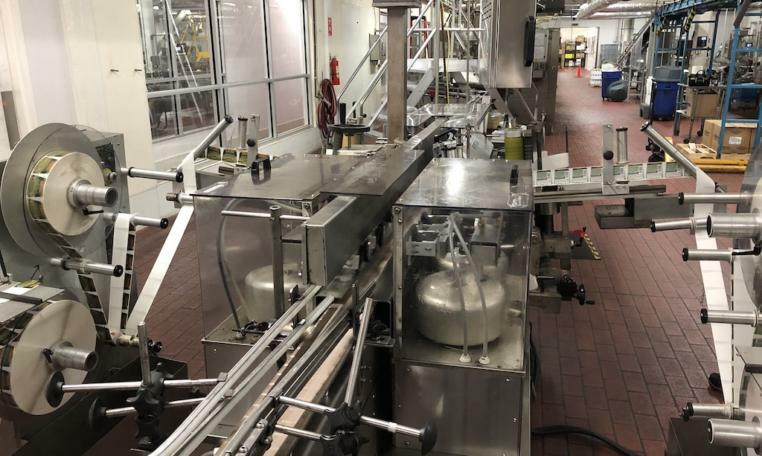 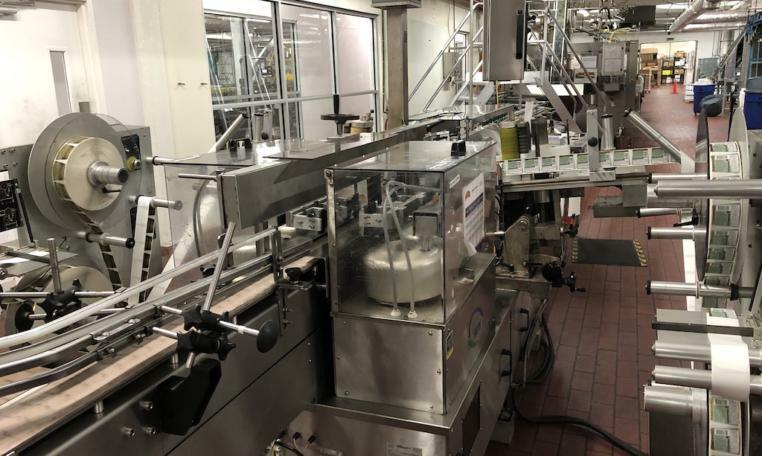 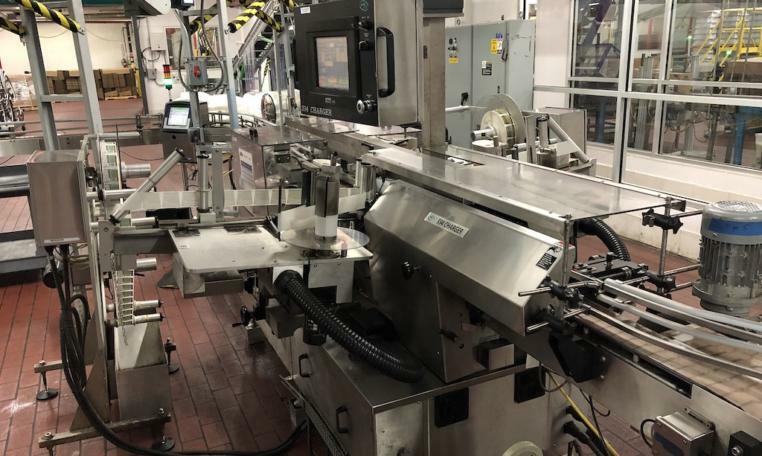 This 334 Charger model is applying front and back labels to olive oil bottles and is scheduled for line removal and availability in February.